The New Breathe Eze Classic Bassinet Collection is a complete bassinet, with everything you need all in one for your newborn baby’s sleeping space with a new modern design. SKU: N/A. 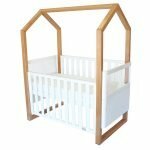 Categories: Nursery Furniture, Bassinets & Cradles. Tags: Babyhood, Bassinets & Cradles. New modern design with a classic lines . . . Unlike traditional bassinets the New Classic Bassinet is super easy to assemble and comes with stylish accents like the box pleated skirt so no more frilly old fashion styling and the quilted accent on the top of the bassinet. 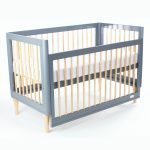 The collection includes 3 different modern colours to suit any nursery space including White, Grey and Navy – so there will always be a design perfect for your baby’s space.